There are increasingly loud voices calling for a shortening of the first MOT period for all new vans in the UK. Motoring publication Honest John Vans has highlighted new research showing a significant proportion of new vans in the UK (25 per cent) which fail their first MOT after three years. As such, the body is calling for UK van MOTs to take place at two years instead. According to data provided by the Office for National Statistics, more than four million vans are in service on UK roads every day. The number of vans has grown by 75 per cent during the last 20 years. The fact that one in four will fail their MOT after just three years on the roads means it is important to have these vehicles checked sooner to highlight any defects or dangers they might pose. Indeed, the research revealed there are around 61,000 van MOT failures each year due to potentially dangerous defects, including issues concerning lights, brakes and tyres. 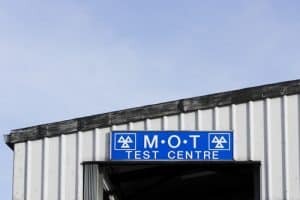 Mr Powell went on to add that the introduction of a two-year MOT would not affect those operators who keep their vehicles well maintained, but it would bring off the roads thousands of vans in not so great condition.